14 brave souls made up of mainly Seiko employees played a charity 7 a side football match at Braywick, Maidenhead on Thursday 1st of December. They raised £217 which was generously matched by Seiko so £434 in total and then split between the East Berkshire RSPCA and the Thames Valley Adventure Playground which is Seiko’s house charity. A huge thank you to Seiko and all who took part, without the support of generous donations such as this, the branch would not exist. 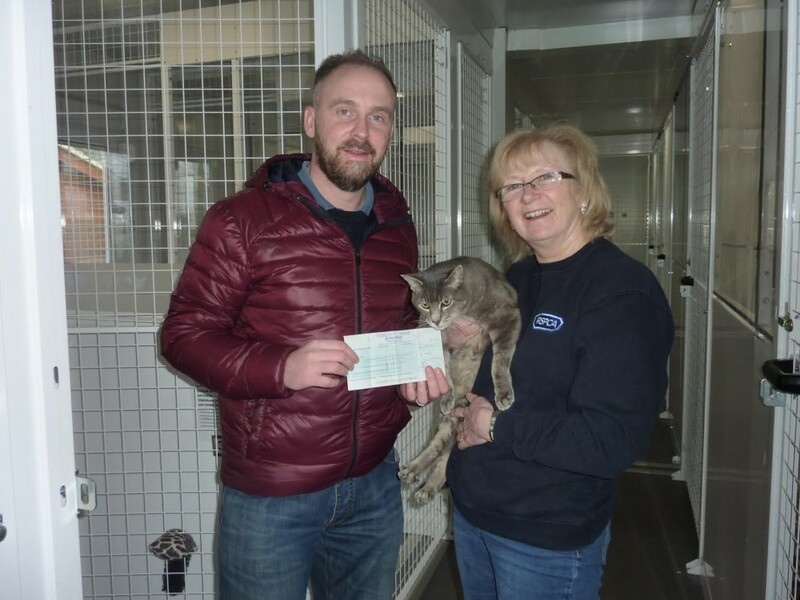 The photo features James Wilson with the cheque on behalf of Seiko and its employees and Wendy Frampton, Cat Welfare Officer (with JAY one of our long term residents at the cattery), receiving on behalf of RSPCA East Berks. If you want to know more about fundraising for the branch, please contact us on 07852 481079, thank you.